Incoterms are the official International Chamber of Commerce (ICC) rules for the explanation of trade terms. Incoterms 2010 is adhered to by all major trading nations of the world, and it is the authoritative text for determining how costs and risks are allocated to parties conducting international transactions. Incoterms facilitate the conduct of international business by defining the responsibilities of the involved participants. Today, we’re discussing the Incoterm DAT, also known as Delivered At Terminal. check out this chart of responsibilities. What Does the DAT Trade Term Mean? When Can DAT Be Used? DAT can be used for any transport mode as well as in multiple modes of transport. A “terminal” includes any place, covered or not, such as a quay, warehouse, container yard or road, or rail/air cargo terminal. 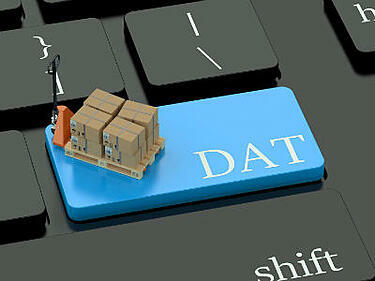 With DAT, risk transfers from the seller to the buyer when the goods have been unloaded. Looking for more information about Incoterms? Check out the archive of Incoterms-related articles on our International Trade Blog. An Introduction to Incoterms—Part 2: Why Do Incoterms Matter?